Nothing is more inspiring than hearing the story of how a rookie investor buys that first property. On this show, we bring on Josh Sounder, a real estate agent and now investor from Nashville, TN. He shares his story of what it took to finally take action and why he feels one of the most important things for newbie investors is to stop analyzing and start acting. 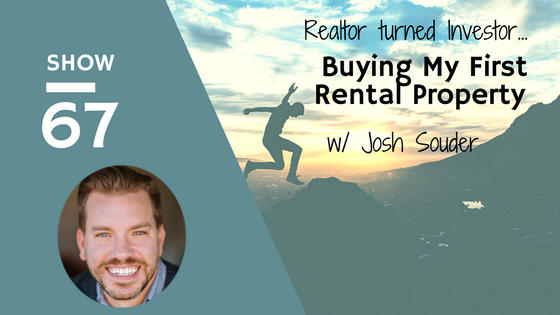 Josh shares how he found the property, what financing option he used and what it's been like self-managing the property. Not only that, he shares what things he would have done differently looking back on the acquisition of the property. Tune in to hear the exact numbers and what type of return Josh and his wife are making on the property. Great podcast! Buying the first property is always the biggest hurdle and one where a lot of investors get stuck. Keep up the good work and keep the podcasts coming.